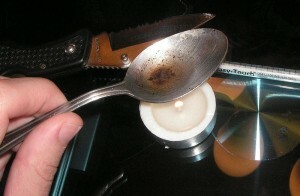 Heroin continues to claim lives at unprecedented rates. In the city of Akron, Ohio, 17 people overdosed on heroin, and one died, in a 24-hour period, WWJ reports. Special Agent Rich Isaacson, of the DEA’s Detroit field division, said the trend is startling. Isaacson said news of deaths don’t usually stop users. “On occasion when there’s talk of heroin overdose deaths – or a series of heroin overdose deaths; sometimes as counter-intuitive as it sounds – that actually sounds attractive to a heroin addict because they know that if that heroin caused the death of another user, that must have been pretty strong heroin,” Issacson said. The heroin epidemic is being blamed on the ubiquity of pain medicine. Why Did Russia Shut Down Its Version of the DEA? Posted: 7/7/16 at 10:52 AM under News Story.